ADOPTED. 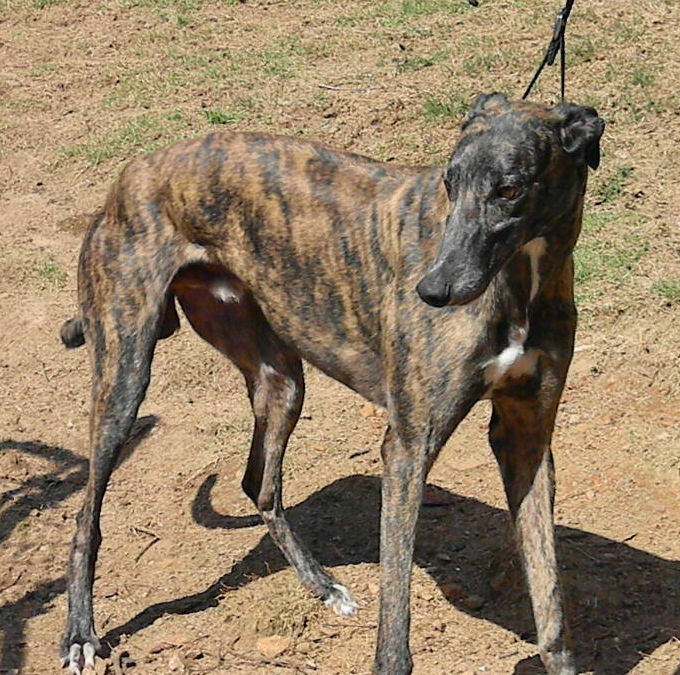 Valor is a good-sized (RWt 73#), most attractive brindle boy with a dark face. 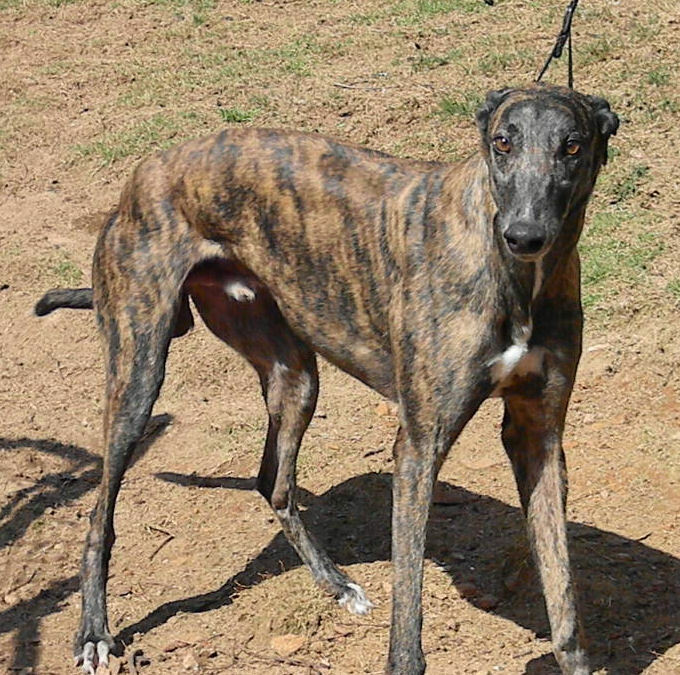 Despite an enviable pedigree, he ran 97 races with just a modicum of success. Valor is a friendly guy who loves his toys. 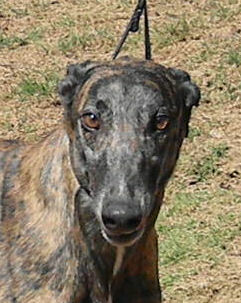 He’s a sensitive fellow who would probably enjoy a home with another Greyhound.